Google page 1 is where the new patients are. 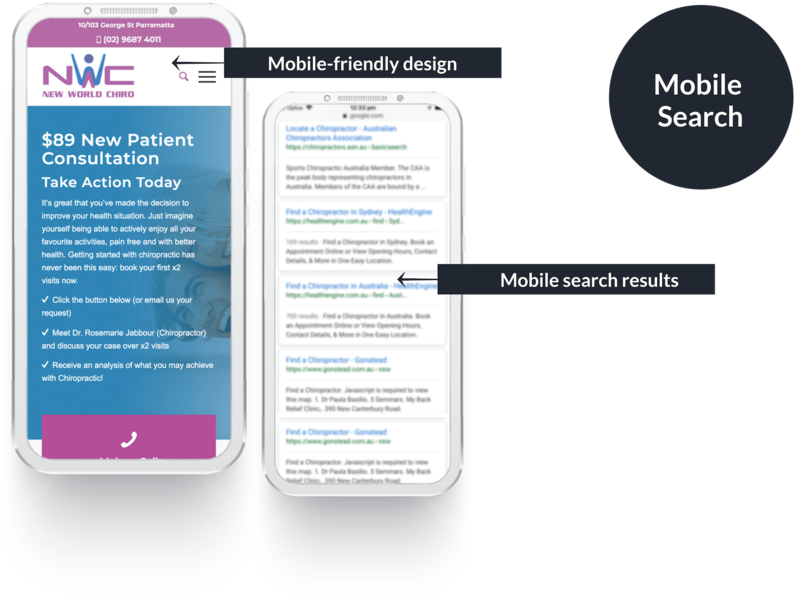 Our SEO (Search Engine Optimisation) program for chiropractors aims to improve your website search engine rank, boosting it as high as possible, helping to bring you more new patients. Everyday more than 3.5 billion Google searches are done. That’s more than 40,000 searches every second and growing. Image: Search volumes for keyword ‘chiropractor Sydney’ over the last year. I know what it takes to rank your clinic website higher. Your SEO strategy needs to work for you today and into the future, given that the nature of search is constantly evolving. SEO is the process of affecting the visibility or ranking of your clinic webpage in the free or organic search results. The significance of this means more clicks to your website and more potential patients and enquiries. Why is it important to rank high in search results? Position 10 captures only 2%. This means you need to rank as high as possible if you expect leads from your website. Given that we know 1,300 searches for ‘chiropractor Sydney’ were performed last month, the higher you rank for this term, the more traffic you’ll get. That’s why you need SEO. Our chiropractic SEO campaign aims to improve your website rank and increase targeted traffic to your site. A specialist approach from a chiropractic SEO company. I’ll optimise your site with proven chiropractic keywords and content. I have over 5 years of experience in this area. Your website will be assessed, looking for any problems that may prevent it from ranking. 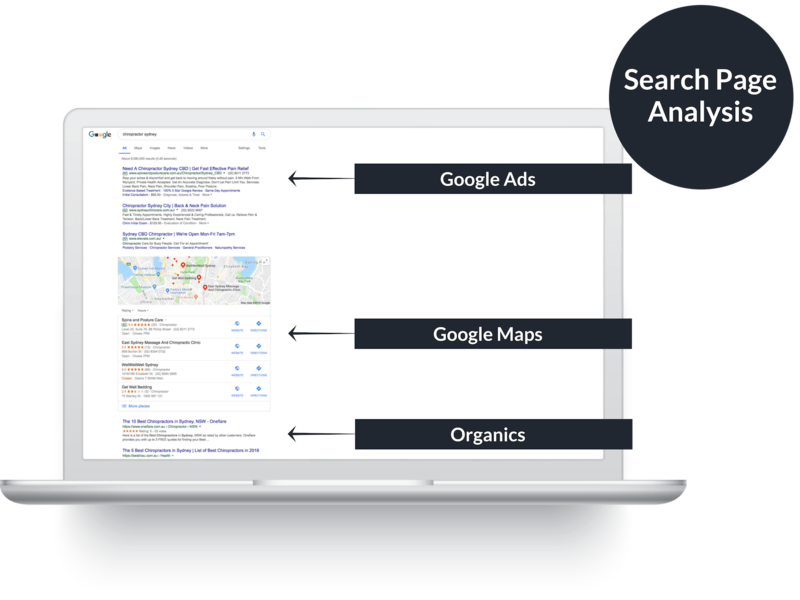 I’ll conduct local level market research, assessing and analysing your competitors while qualifying your local search volumes. I’ll update your website with unique content following Google-friendly guidelines. You’ll benefit from my extensive industry contacts to create references back to your site. I’ll publish content on external sites about you, your clinic and chiropractic. SEO is a medium to long-term growth strategy. It takes a few months for momentum to build. You’re looking at a 6-12 month time frame generally. For less competitive suburbs, the results may be quicker. For more competitive suburbs the results may take longer. Do I have to keep doing SEO? Once you secure higher rankings, you may need maintenance SEO to hold and maintain these positions as your competitors are also trying to rank high. Alternatively, the work I do may be enough to maintain higher rankings for the life of your business. As SEO is a long-term strategy, it takes me and my team considerable time and resources to write and publish content and to secure enough links to your site. I work from a monthly Work-In-Progress (WIP) document so you know exactly where we are up to at any point in time. No. You pay monthly. Each month of work is considered one unit. The technical component of SEO – optimising a page (correct title tags, headings), improving site speed and enhancing mobile usability – have very little to do with these guidelines. While there are many different SEO companies out there, I haven’t found many chiropractic specific SEO companies. 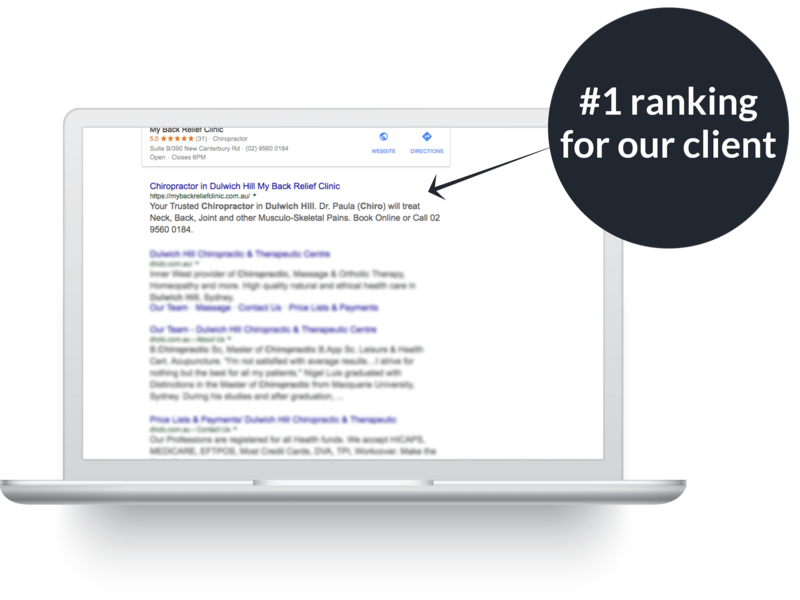 Premier Practice is a chiropractic SEO expert and offers you over five years of proven experience in this space. I am a specialist in this space and offer you unique and astute insights into SEO. Does my clinic need a SEO Campaign? If you want to grow your chiropractic clinic using internet marketing and you’re ready to invest back into your business, you need SEO. Consider this: Do a Google search for ‘chiropractor suburb’. Does your website rank on Google page 1 (and if so, who holds the first 3 positions)? If you don’t rank – or you want to rank higher – you need SEO. Investment: Affordable service from AUD $1k/month.